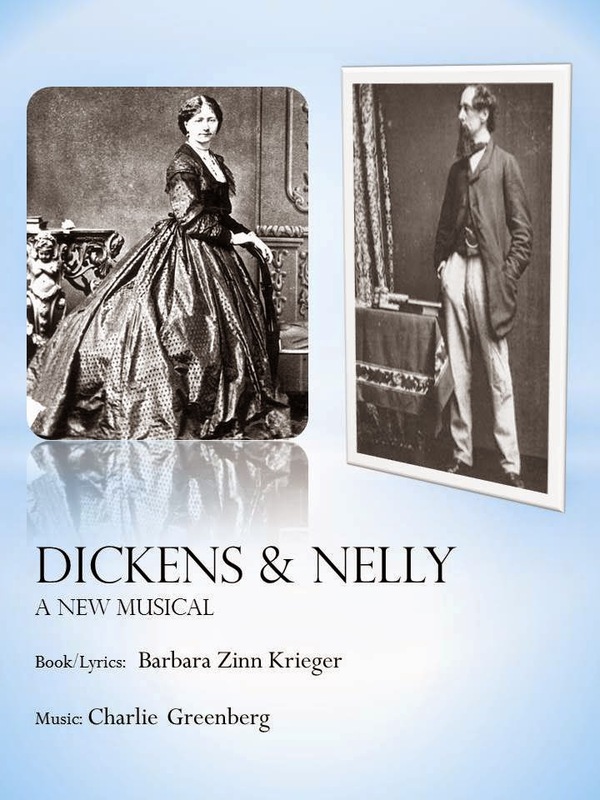 Dickens & Nelly, a New Musical. “I most solemnly declare, then -- and this I do both in my own name and in my wife's name -- that all the lately whispered rumors touching the trouble, at which I have glanced, are abominably false. And whosoever repeats one of them after this denial, will lie as willfully and as foully as it is possible for any false witness to lie, before heaven and earth". In the new musical “Dickens & Nelly”, this spirited defense of Dickens’ integrity and Nelly’s virtue is dramatized during a confrontation in London’s Anatheum Club. Having mocked Dickens for trying to hide his affair, authors, including hypocritical Willkie Collins (“I do as I please with both my women”), Anthony Trollope, George Wills and William Makepeace Thackeray are excoriated by an enraged Dickens. Dickens’ words soar in a new musical theater piece that understands there’s rarely as much heated and continuous passion as there is in an illicit love affair. Dickens is a control freak. He orchestrates the affair through selective confidants and a mastering of train schedules. Exploiting his prodigious fame, charm, and the vacuum created by an absent father figure, he seductively isolates Nelly (the youngest of three sisters in a theatrical family), from her siblings and mother. To protect his reputation, he surreptitiously moves Nelly from location to location over a period of 13 years, adopting an alias for them both. But, Dickens loses control. His wife discovers the affair, Nelly becomes pregnant, and the train crashes - with both Dickens and Nelly onboard. Ultimately, Nelly rejects victimization and reinvents herself, while never compromising her past love for Dickens. In fact, she is a survivor of a love affair that didn’t publicly begin to see the light of day till the mid 1930s – 20 years after her death. Location: Black Box Theater @ William Paterson University in New Jersey.